There are a number of land and water management issues facing the Wimmera region. These include catchment management (eg. Declared Water Supply Catchments), river health and water quality, floodplain management, salinity management and land degradation. 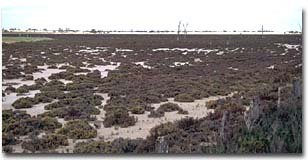 A land and water management issue facing the Wimmera region. 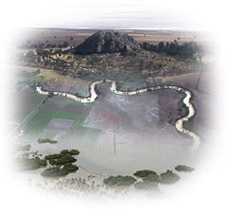 A downloadable version of the former Land Conservation Council's final recommendations for the Wimmera Study Area (November 1986) (external link) are available for download from the Victorian Environmental Assessment Council's website. These provide an ongoing framework for public use of land in the Wimmera Study Area. The recommendations are grouped under major headings, such as Parks, Reference Areas, Wildlife Reserves, Bushland Reserves and so on. Key recommendations are Little Desert National Park, Lake Buloke Wildlife Area, and many wildlife reserves and bushland areas. The recommendations in the text have been edited to reflect government variations and amendments at the time of approval, and subsequent changes. A downloadable version of the former Land Conservation Council's final recommendations for the South-Western Area, District 2 (May 1982) (external link) are available for download from the Victorian Environmental Assessment Council's website. These provide an ongoing framework for public use of land in the South-Western Area, District 2 Area. The recommendations are grouped under major headings, such as Parks, Reference Areas, Wildlife Reserves, Bushland Reserves and so on. Key recommendations are for Grampians National Park, Black Range State Park, Mount Eccles State Park and Mount Arapiles-Tooan State Park. The recommendations in the text have been edited to reflect government variations and amendments at the time of approval, and subsequent changes. The Victorian Landcare and Catchment Management Magazine (external link) online site of Landcare provides copies of all these magazines dating back to 1996.